professional instrument for water leakage from water supply companies, heating companies, municipal construction companies and property companies. They are mainly used to find and determine the location of leakage points of water supply pipeline, and they can also be used to detect the leakage of other pressure piping systems. When the fluid in pipeline erupts through leakage source due to the pressure, the noise produced by the impact on internal wall will spread along the pipeline or along the buried layer medium to the ground, and the instrument determines the leakage source through the amplification of leakage noise and the analysis of the spectrum signal. 1. Apply to property management company, water supply company, heating companies, fire company pipes leak detection. 2. Be suitable for different kind of underground metal and non-metallic pressure piping, and works on different soil like concrete land, and soft soil too. 3. Combine the dual-mode function acoustic vibration with spectrum technology to determine the accurate leakage. 4. Setting the function of rough measurement and accurate measurement to quickly lock the leaking point. 5. 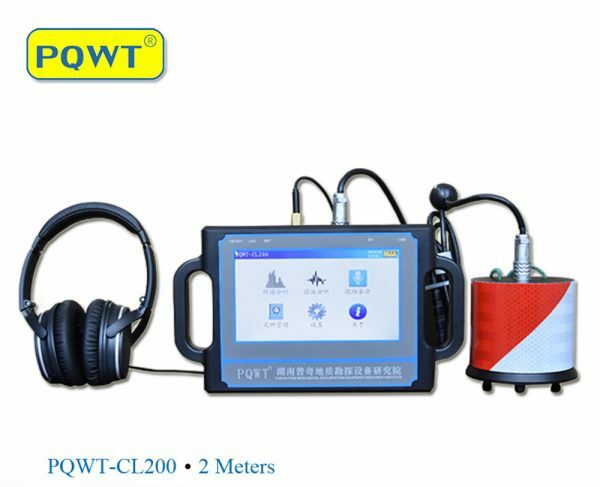 The unique design of noise control headset and wind-proof sensor. 6. Four languages ( English; Turkish; Italian and Arabic) are optional. 8. The Professional technical guidace 24 hours online.